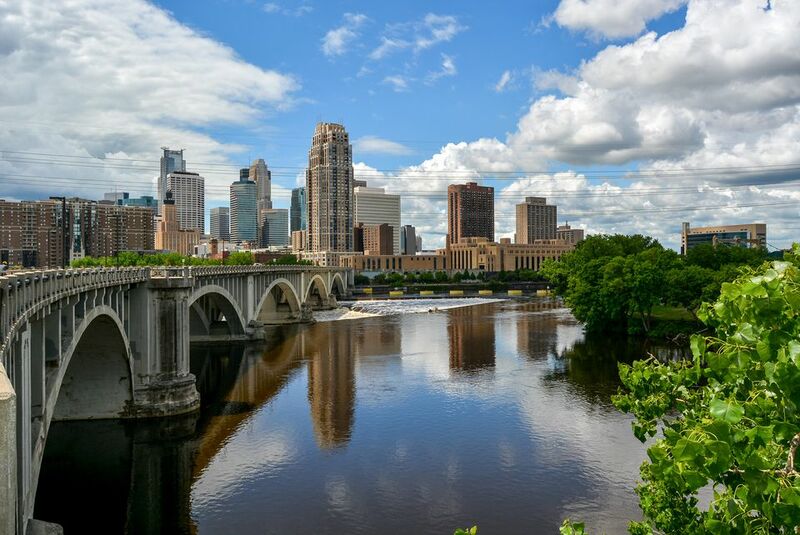 The Minneapolis-Saint Paul region is a large metropolitan area created around the Mississipi, Minnesota, and St. Croix rivers. While families might be headed toward popular activities like the Minnesota History Center or the Mississippi National River and Recreation Area, this selection of good value, budget, and low-cost ideas will entertain kids of all ages around the Twin Cities. If this list of cheap things to do is still too expensive, there are also some completely free children's activities in Minneapolis and St. Paul. Kids and toddlers love Izzy's mini scoops of ice cream in a mini cone for only $1.95. These delicacies are available at Izzy's Ice Cream Cafe in St. Paul in addition to coffee shops around the metro area, such as Java Train. With flavors like Banana Nut Fudge, Dinosaur Egg, and Peppermint Bon Bon, kids will love all the colors and choices at hand. The Heart of the Beast puppet theater, on Lake Street in Minneapolis, has regular Saturday morning puppet shows for children. Each show is unique and kids often adore them. Admission is by donation, with a $2 suggestion for local residents and a $4 suggested donation for people who live elsewhere. HOBT also has monthly free Friday morning puppet shows for preschoolers. The Riverview Theater in southeast Minneapolis is cheap to start with, but the retro 1950's-style theater shows children's movies on Saturday and Sunday mornings, with admission being just $2 for adults and children. The family will be able to enjoy a diverse selection of Hollywood's hit blockbuster movies as well as indie art films. Residents and travelers can stop by some local coffee shops equipped with playrooms and toys to entertain younger children, for the simple price of a latte for mom. There are several kid-friendly coffee shops around Minneapolis and St. Paul. This is helpful for moms with babies, toddlers, and preschoolers who need a break. With the motto, "Sparking learning through play," this museum has rock climbing, adventure towers, and creative galleries. A single entry to the Minnesota Children's Museum runs around $8 for anyone over the age of one. The museum is also on the list for great value memberships, being that $80 annually covers everyone in a household for free admission. In fact, a family of four only has to visit three times to make a membership worthwhile, and small children will likely be begging mom and dad to come back again. ArtScraps in St. Paul sells remnants, overstocks, defective, and random items perfect for arts and crafts. Everything is starving-artist cheap, and a bagful of interesting, random bits and bobs will last a couple of afternoons for children's art projects. There are also sample projects on display and an artist-in-residence to give kids the inspiration they need to get started. Meetup.com has listings for about 20 groups for moms and families covering almost all of Minneapolis, St. Paul, and the Twin Cities. MOMS Club, an international organization of mothers' groups, has a few chapters in the Twin Cities. Yahoo Groups hold several groups for moms based in the Twin Cities, both for online and real world playdates and activities. Dads can join Minnesota Dads at Home to connect with other stay-at-home dads.